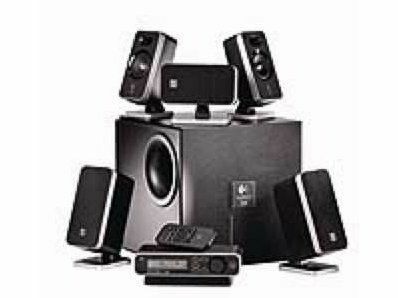 This hulking 5.1 sets has two big selling points - first, it's got wireless rear speakers, and two, it's THX-certified, THX being a sign of high quality home cinema (and gaming) audio. As such, the Logitechs are a good choice if you want superb sounding games and movies without tripping over cables. We think these have the edge over the similarly equipped Creative 550Ws and are a good deal cheaper, too. They're also a doddle to set up, and they sound great.